Some of you may already know that we have 3 lovely ladies in residence out the back of the hotel who supply our team with delicious eggs each day. Whilst food regulations prevent us from using the fresh eggs in our restaurant food, there are MANY benefits of keeping the ladies well fed with food scraps from our restaurant. Here are a few reasons we keep them, and think they would be a great addition to any backyard. Chickens poop… all the time… Did you know they can eliminate waste up to 50 times a day? 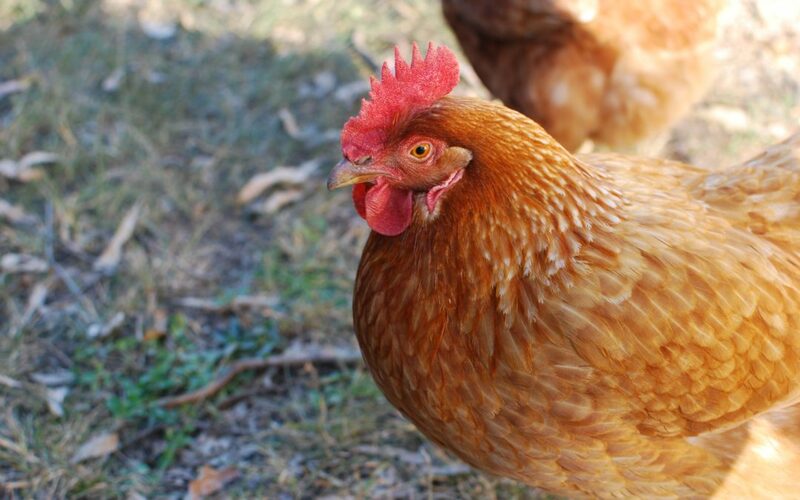 Many people pay good money for bags of organic fertiliser (free from the chemicals often found in manufactured fertilisers), but when raising chickens, there is no need! Because chickens don’t eat meat, their manure is free of the diseases and bacteria found in the manure of meat eating animals. Collecting and adding it to your garden beds and vegetable patches provides a brilliant range of nutrients for your plants. A compost pile is never complete without chicken poop. If you want to get the most out of the fertilising capability of your chickens waste, then add the wood shavings from your coop (if that’s what you use for bedding), plus any bits of excess plant life you have lying around, like grass clippings or fallen leaves. Dampening the compost will activate its fertilising properties, as well as mixing it to get oxygen in. You can also throw the empty eggshells into the compost heap as well… This saves you from using synthetic fertilisers that can damage the environment – the toxic runoff from garden beds into waterways and eventually streams/the ocean is damaging the eco system. Having a constant supply of fresh eggs is one of the best treats you can give your breakfast table. These days, raising chickens yourself is one of the only ways to ensure that no chemical, hormone or other nasty interferences have gone into the making of that egg.. it also means that no money has gone into factory farming – where chickens are subjected to awful conditions in order to meet the growing demand. Raising chickens based on a healthy diet and using those eggs instead not only gives your chickens a better life, but sends a message to the factory farming industry. Another great thing about raising chickens is that you get your fresh eggs for free. If you’re left with piles of leftover food scraps (like we are occasionally in the restaurant) and don’t want to add to landfill, the lovely ladies certainly have a better use for them. Keeping chickens on a predominantly leftover diet ensures that they are getting lots of great nutrients. Feeding your kitchen scraps is definitely a great way to minimise waste – plus once the chickens have digested it, it goes on to fertilise your lawn! A double bonus… and the cycle of sustainability goes on. With so many benefits of keeping chooks, we think its well worth having a few to keep us company. We often let them roam around in our beer garden during non-service hours, so keep your eyes peeled!